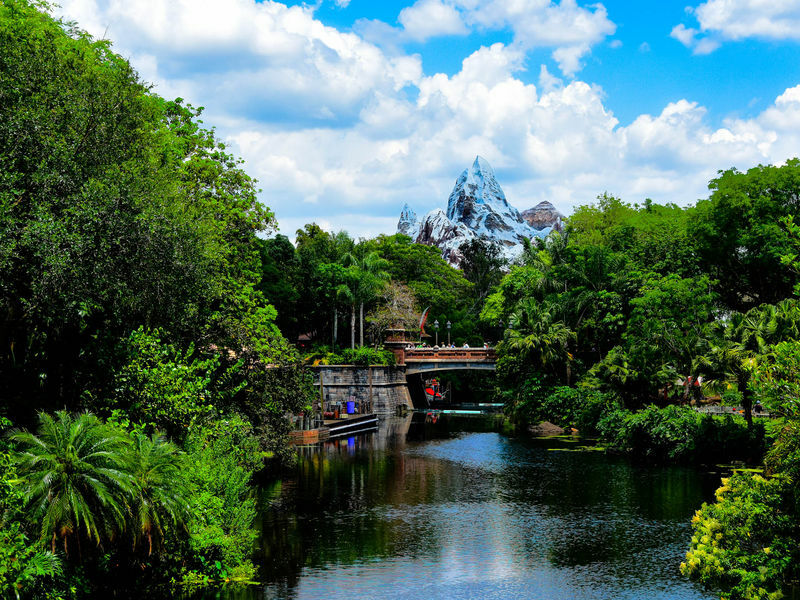 Expedition Everest officially opened on April 7, 2006, though guest sneak previews began on January 26. 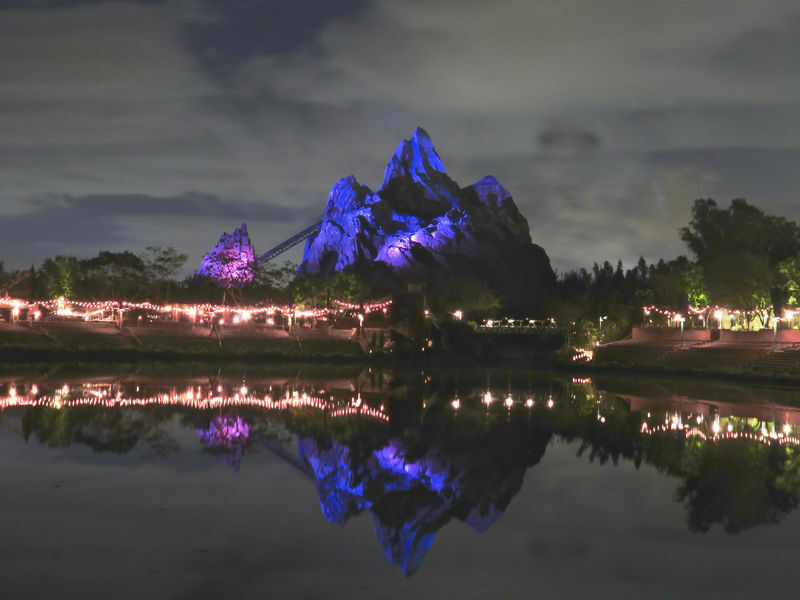 This new E-ticket is a roller coaster down (and through) the slopes of the Forbidden Mountain with a yeti (abominable snowman) hot on your tail as you go forward and backward down the track. This attraction is almost single-handedly responsible for vaulting Disney's Animal Kingdom past Disney's Hollywood Studios in attendance. Location: Far right end of Asia, just before the bridge back over to DinoLand, U.S.A.
# of Ride Units: Up to five trains can theoretically run simultaneously, but it will most likely run four on a regular basis. Ride Capacity: Each train has six cars, and can hold 34 passengers. (The "engine" can only hold four passengers.) The attraction has a theoretical hourly ride capacity of 1,800 guests. Wait Times: Quite likely very long, as least in the months right after the ride opens. Queue Description: Arguably the best queue that Disney has created to date, with separate queue stories for standby and FastPass. 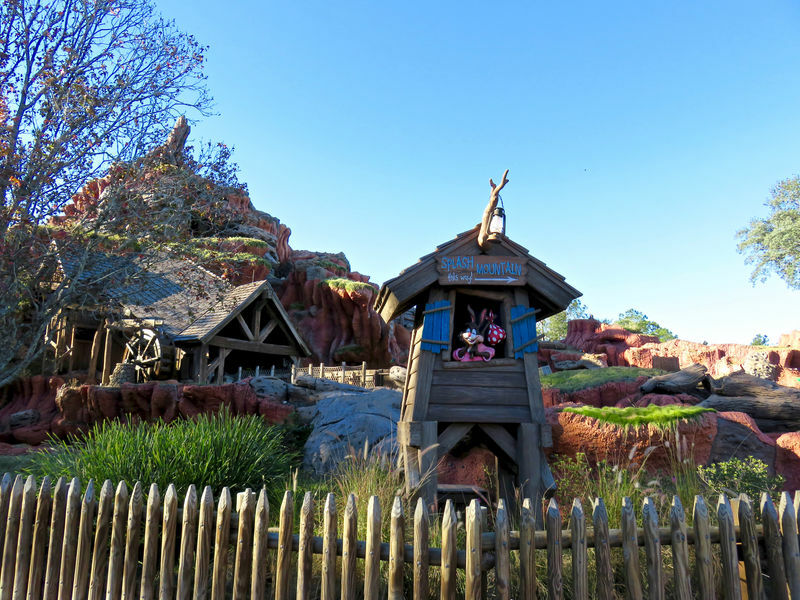 Health Restriction: Guests with heart, back, neck, or other easily exacerbated conditions should not ride. Expectant mothers should not ride. Guests prone to motion sickness may want to avoid the ride as well. Ride Access: The queue is accessible, though some turns may be a little tight. The rear row of seats on each train has a section above the armrest that swings out to allow mobility-limited passengers to more easily enter the train. Wheelchair Transfer: Wheelchair and ECV users will have to transfer. Audio: There is no on-board audio, though there are significant environmental sounds on the attraction. Weight and Size Issues: Since lap bars are per seat, rather than per row, differently-sized passengers can sit next to each other without fear of too much leeway for the smaller. However, the individual lap bars may make it more difficult for larger passengers to get into the seat. A "sample" car is be located between the queue area and the gift shop for larger passengers to ensure that they will fit into the ride vehicle and be able to lower the bar far enough. Height Restriction: Riders must be at least 44" (112 cm.) to ride. Other Issues: Expedition Everest is an intense roller coaster, and not only has the sudden movements expected in a roller coaster but also a yeti monster several times during the ride. Children may not be ready for this ride even if they meet the height requirement.